Every month we spend an evening scouring the pages of the latest issue of Previews and pick the ten titles we are looking forward to the most. This month it's the June issue which includes comics scheduled to ship in August 2015. Rob N: Unlike most comics these days, the whole point of Kieron Gillen and Jamie McKelvie's Phonogram series seems to be to remind you every few pages how rubbish your record collection is compared to theirs. Oh yes, they may pretend that they're writing and drawing a contemporary urban fantasy story that obliquely explores the concept of music as a radical form of audio Chaos Magick, but really they just want to talk about Kenickie and Girls Aloud and laugh at your Coldplay CDs and then remind you how cool Camden was in 1992. And by the way, they used to drink at the Good Mixer with Blur (probably) and you didn't. So there. In fact, reading Phonogram sometimes feels like you have to prove your indie credentials are cool enough to 'get it' and that you're not one of the late comers who only got on board with '90s indie when Ocean Colour Scene appeared on Top Of The Pops. 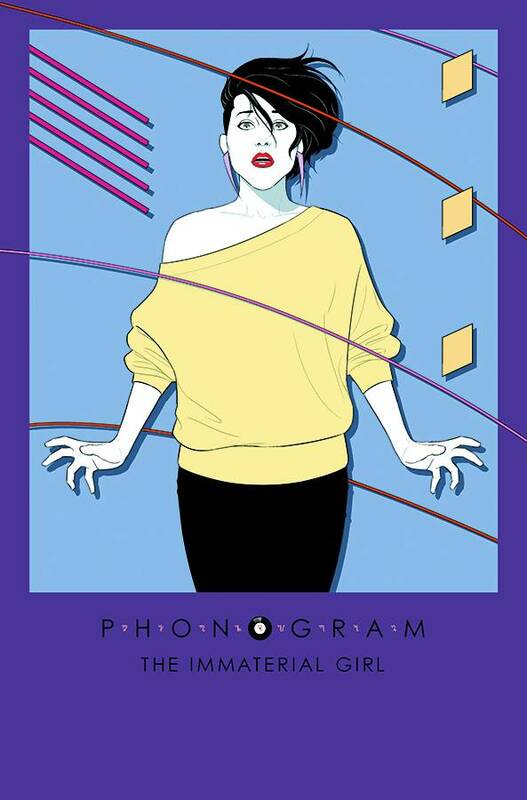 Phonogram is a very English style of comic, all post-punk swagger and old school NME attitude, probably far too cocky for its own good, but entertaining throughout. It's also something of a commercial failure, hence why (the final?) third series has taken several years to come about, and at times often felt like it wouldn't surface at all. James R: Alright, so this is a bit of a cheat - it's an epilogue, but strictly speaking an ‘issue #1' so it still counts! This month sees the curtain come down on Mind MGMT, Matt Kindt's majestic, brain-scrambling espionage series. It has been consistently my favourite ongoing comic of the last couple of years, and my sadness at its conclusion is tempered slightly by my anticipation to see just how Kindt is going to make the myriad pieces and mysteries of the book fit together. Possibly not the perfect jumping on point for newbies, but I'm willing to bet it will be the ideal terminus for us loyal readers. Matt C: Some months we do struggle to come up with ten comics worthy of note from the usual suspects and are forced to scour the smaller publishers for something to recommend. Sometimes that pays off, sometimes it doesn’t. I mean, have you seen how thick Previews is?? There are a lot of comics coming out each month! This one caught my eye primarily because of the art. There’s not much else to go on at the moment (the story involves anthropomorphic pirates and bandits, or something) but if you can find some of the few examples of the illustrations for the series somewhere on the net, you may also feel that this one is worthy of further investigation, especially when it’ll cost just $1.99. Kenny J: Sometimes ideas are so brilliantly obvious that you wonder why they haven't been done before. Although, to be fair, I'm not sure that a story about sexually transmitted diseases that make people beautiful is top of many producers or commissioning editors’ lists. But this is Image Comics, so in August writer Jeremy Haun and artist Jason A. Hurley are bringing The Beauty to their Top Cow imprint. Winner of their 'Pilot Season', this detective story is sure to delve into the horrific, especially if that cover is anything to go by. Image as a whole has been putting out quite a few quality comics with a definite darker, shall we say, adult tone recently. I hope The Beauty continues this trend. Stewart R: It seems that I've been following Justin Jordan around a little bit in terms of comic book titles through the past couple of years. From the superhero antics of Green Lantern: New Guardians, to thrilling crime capers in Dead Body Road, to post-apocalyptic body horror shenanigans in the currently running Spread, Jordan is an author with a neat grasp of tension and a fine line in compact character depiction and development. Now he's turning his hand to a psychological thriller with John Flood. 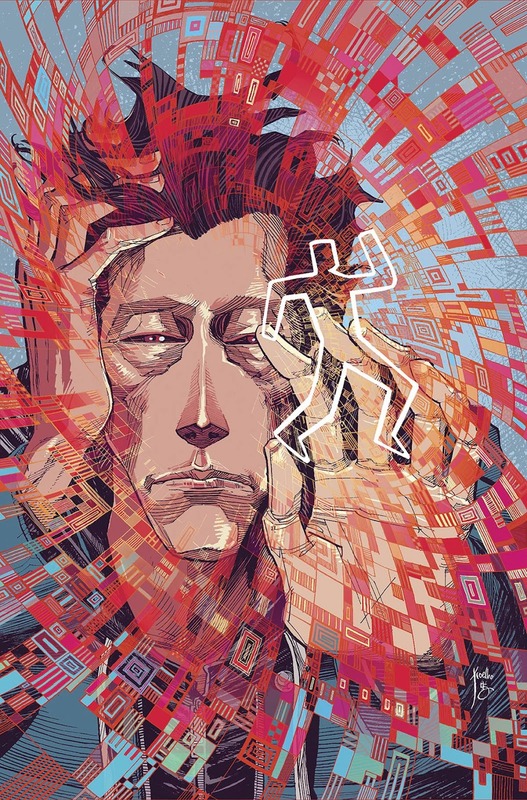 The titular character, having been involved in a government experiment (as you do), no longer sleeps and exists in a constant dream state which allows him to see patterns in the world around him that others cannot. The hook comes from the mysterious threads of a thousand unsolved murders pointing to one man, who may already have John in his sights. Jordan is quickly establishing himself as a writer who can own the chase in a story and I look forward to seeing what he produces here. Matt C: I like this idea, a lot. The USA has experienced a total economic collapse and many of its citizens are now fleeing the country seeking a new life elsewhere, with ‘Americatowns’ popping up in cities across the planet. Kind of the reverse of how America became such a powerful nation. The writers are Bradford Winters, who’s had a hand in such TV series as The Americans, Oz and Boss, and Larry Cohen, who’s been in the movie business for a good many years, directing B movie flicks like Black Caesar and Q: The Winged Serpent, so kind of an interesting mix from the get go. Okay, so the premise does sound a little bit like a pitch for a TV show, but that’s not unusual in the creator-owned environment these days, and if said pitch is strong enough, it should work in any format. James R: The DC bombshells are one of the things that DC has got right in recent times. 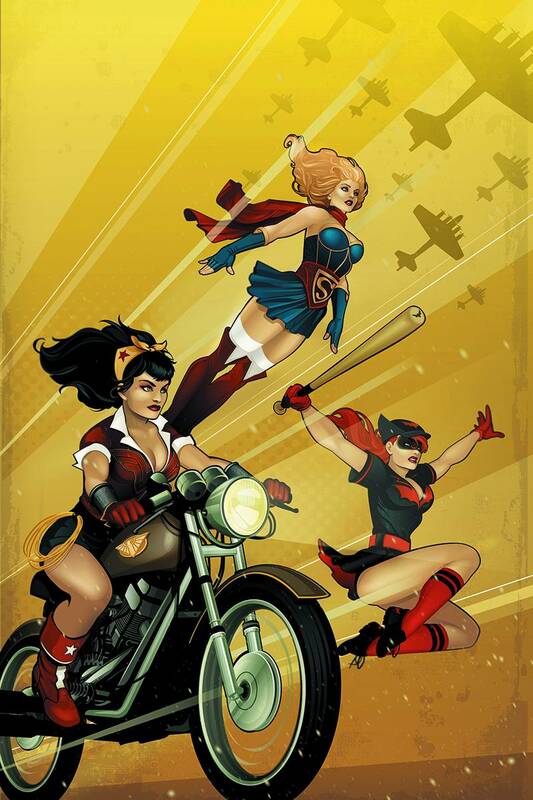 Their iconic female characters reimagined as 1940s pin-ups and icons have been hot property amidst collectors and fans, and now they're looking to push that popularity one step further by giving the Bombshells their own title. I'm keen to see this as - for once - it doesn't seem an entirely spurious tie-in. It's written by rising star Marguerite Bennett and with art from Marguerite Sauvage, and it's an Elseworlds tale set in World War 2. I'm a sucker for both of those things, and given the paucity of DC titles on my pull-list at the moment, I'm definitely going to give this a try. Rob N: From the inspirational duo who brought us the excellent Vertigo series, Daytripper (a comic in which the protagonist died more often than all the main fatalities in Game Of Thrones put together), we have a brand new graphic novel that explores familiar themes of sibling rivalry, family bonds and blood ties, and the old cliché that 'you can never truly go home again'. Any book set in Brazil, about two Brazilian brothers, written and drawn by two Brazilian brothers, living in Brazil, can't help but feel a little bit autobiographical in scope, and so it probably is. Ba and Moon of course excel at this slice of life stuff and their work is tailor made for the sort of earnest and worthy literary volumes you find in the non-superhero section of Gosh! It's the kind of book you can read, enjoy, and then leave on your coffee table along with the new Kazuo Ishiguro novel to impress passing Guardian readers. So, worth buying as a trendy lifestyle statement if nothing else! Kenny J: I imagine, like me, many people’s introduction to James Sallis’ 2005 novel was through the film adaptation starring Ryan Gosling, which was notable for its soundtrack as well as the visceral violence on screen. Now we get to see what that original story will look like in our visual medium of choice, comics. From the previews it looks like artist Antonio Fuso will be using that same neo-noir palette of purples and pinks. It’s this art that has me excited to see the relatively short miniseries through to the end, when I have consciously avoided longer book adaptations before. 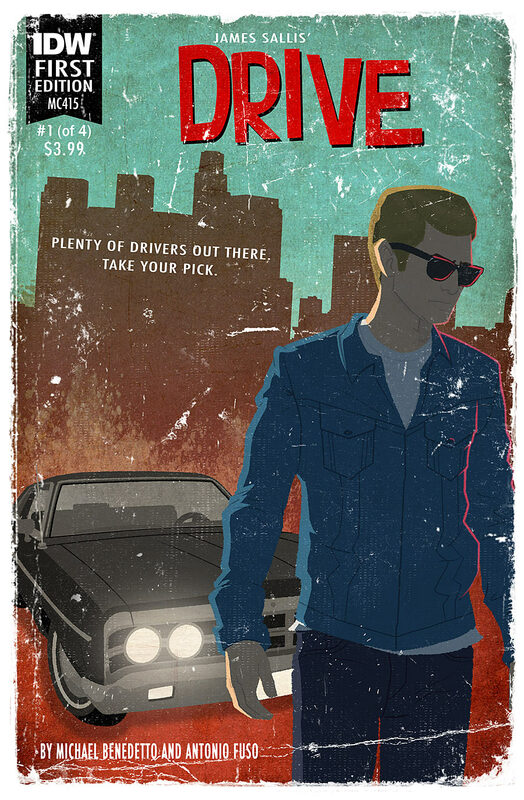 Hopefully Drive will be a worthy exception to this rule. Stewart R: BOOM! have been coming through with plenty of new IPs in recent years and I'm certainly more open to seeing what the publisher has to offer. Welcome Back scribe, Christopher Sebela, will take us on a journey into immortality and reincarnation as a war plays out between two sides across countless lifetimes with participating individuals fighting, killing and loving each other throughout the ages. We'll be following two female combatants, Mali and Tessa, and as Mali becomes self-aware in her newest incarnation, questioning why she’s fighting, Tessa remains deeply invested in the hunt. 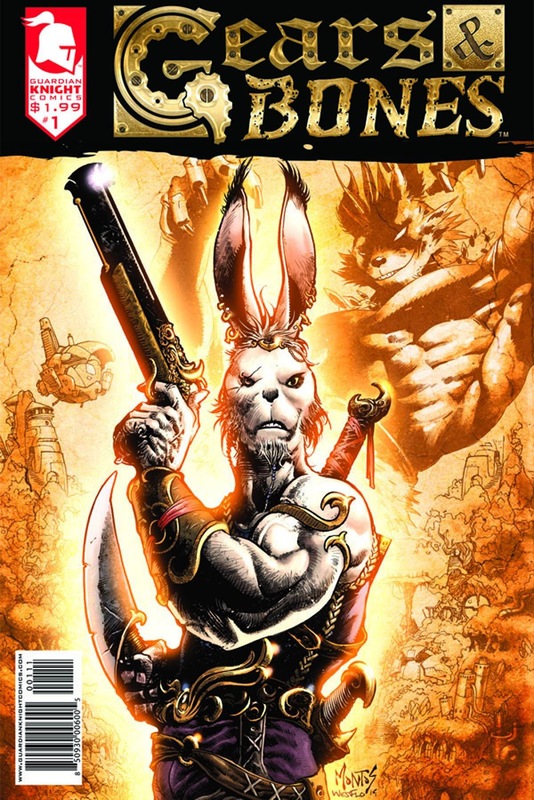 Yes, so there's gonna inevitably be comparisons to Highlander and Dark Horse's Resurrectionists, but I've hope that this may prove to be something engaging and unique, and there's plenty of scope in the premise for Sebela to play with. Unlike the excellent Daytripper, Two Brothers isn't exactly a brand new graphic novel. As the fine print on the cover tells, it's the graphic adaptation of a novel by pop Amazonas author Milton Hatoum. And I found it rather disappointing (except for the art, natch). So don't set your expectations too high, unless you'd enjoy a revenge-based soap like "Dallas" but set in a city by the Amazon River?